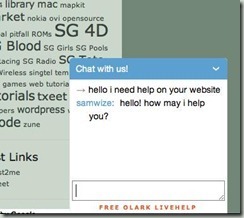 Adding live chat to your blog/website gives you another means to communicate with your website visitor. It is especially useful for e-commerce website whereby product support is much needed. 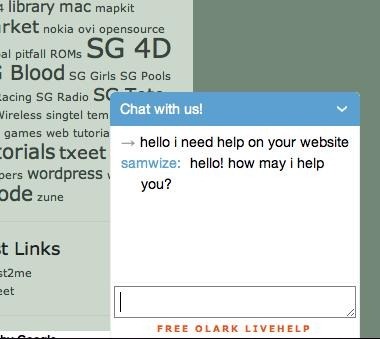 A live chat would be a good experience for the visitor who needs immediate dedicated assistance. There are a number of live chat services that you can find. I have shortlisted 2, and tried both on my websites. 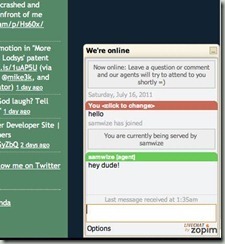 Olark on Just2us (left), and Zopim on Just2me (right). For now, Olark is my choice!